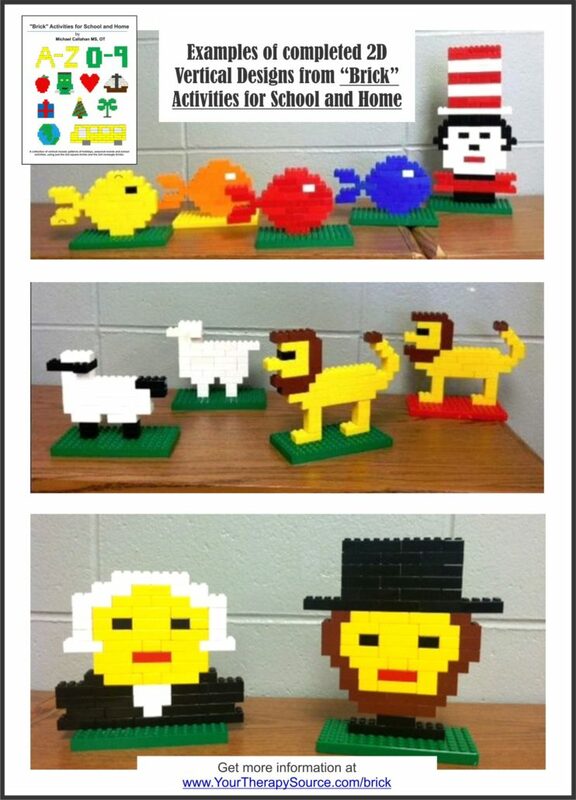 Here are some sample pages from a great new download “Brick” Activities for School and Home by Michael Callahan, MS, OT. Created by an OT with 25+ years of experience, these two dimensional designs offer a just right challenge for some students. Using only 2×2 and 2×4 LEGO® type blocks, children can copy the holiday themed projects, letters and numbers. For some children, typical three dimensional LEGO® designs can be extremely difficult to copy and manipulate all the different size bricks. These brick activities have varying degrees of difficulty but are all two dimensional and only use two sizes of the LEGO® type bricks. 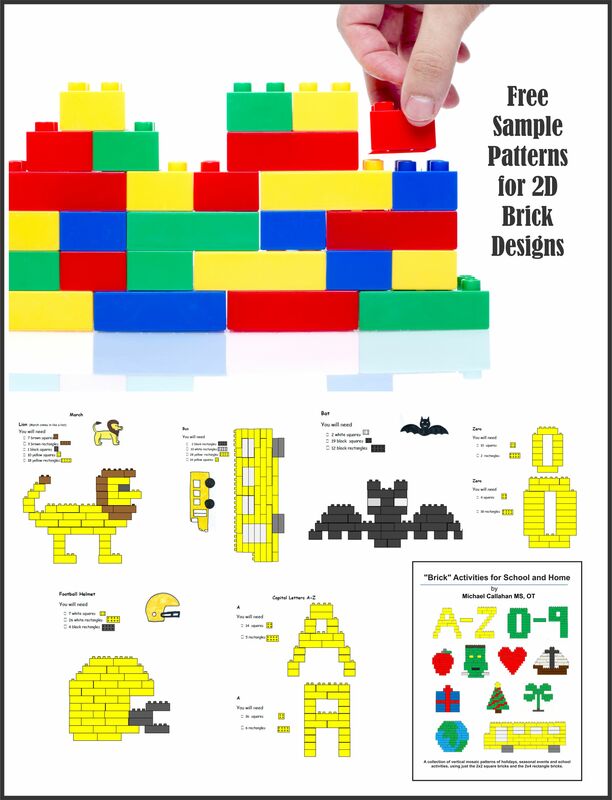 See below for some completed 2D vertical designs created from the the “Brick” Activities for School and Home written by Michael Callahan. Get more information about the download at Your Therapy Source.